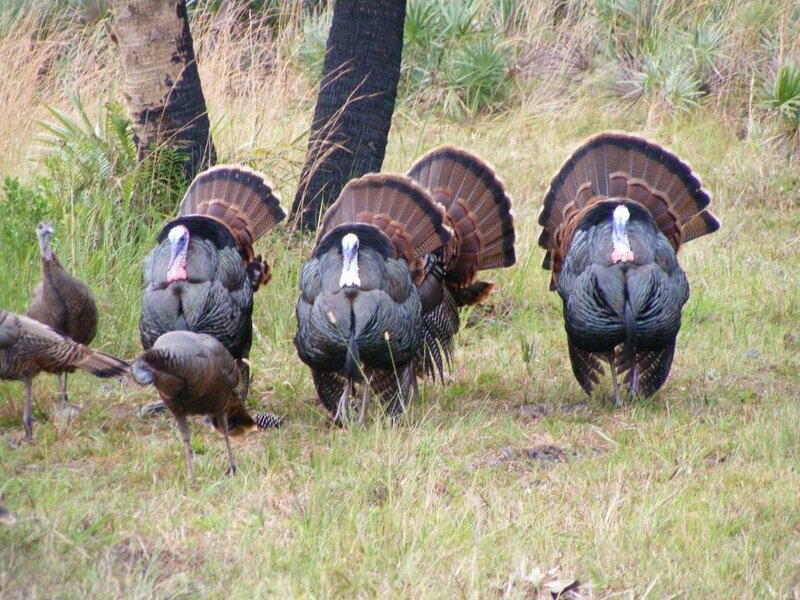 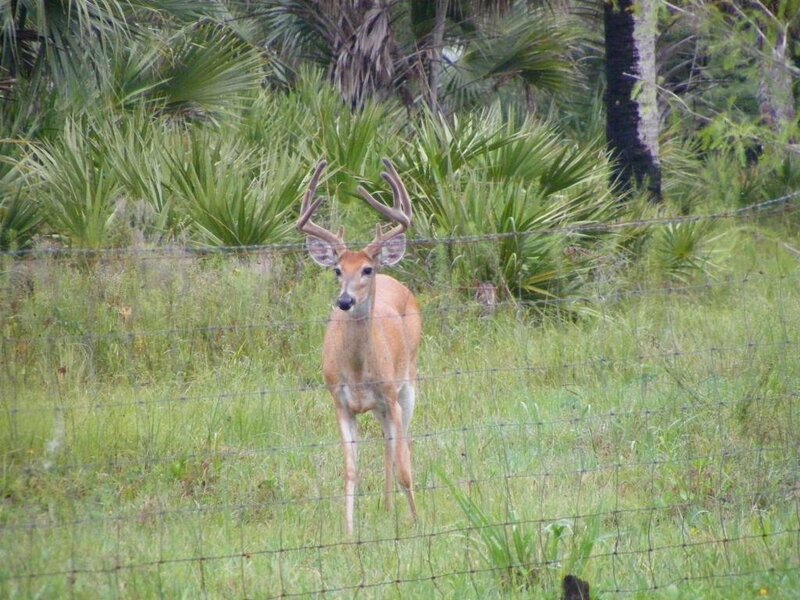 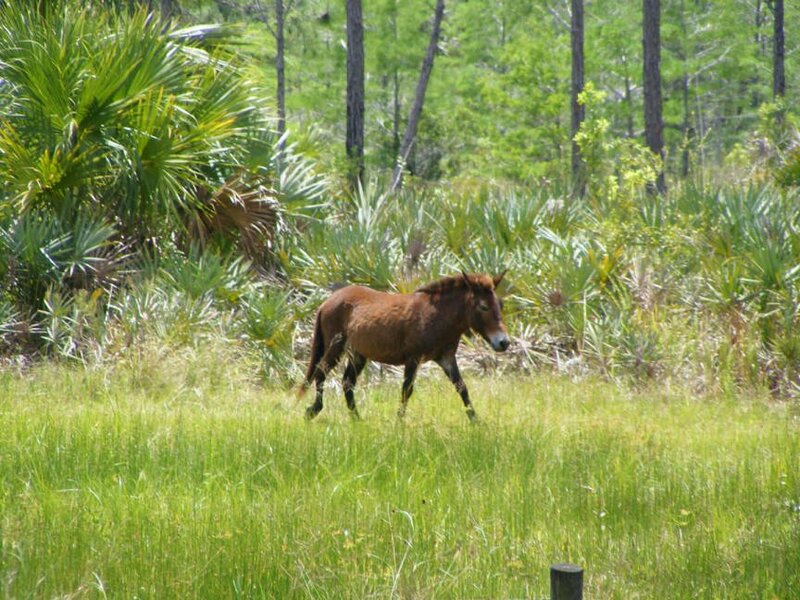 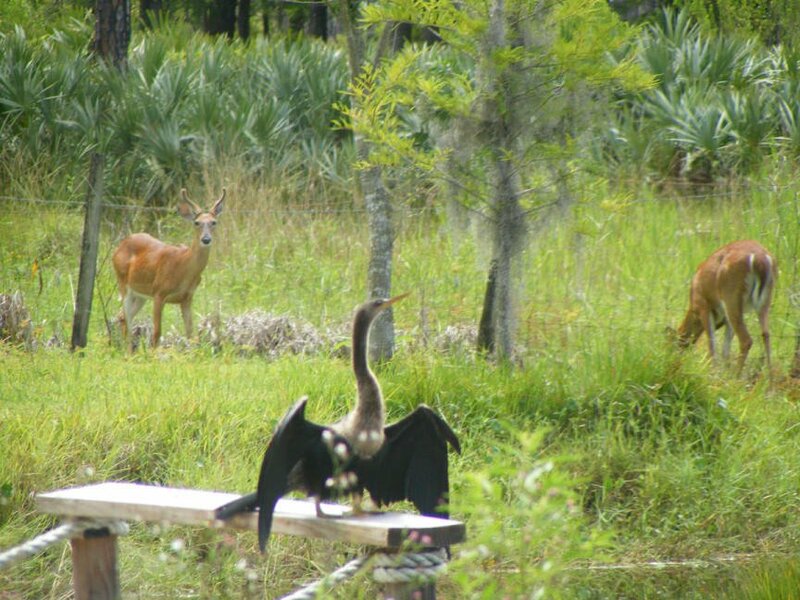 This is a nature-lovers paradise with an incredible view of 11,500-acre Jonathan Dickinson State Park in your backyard! 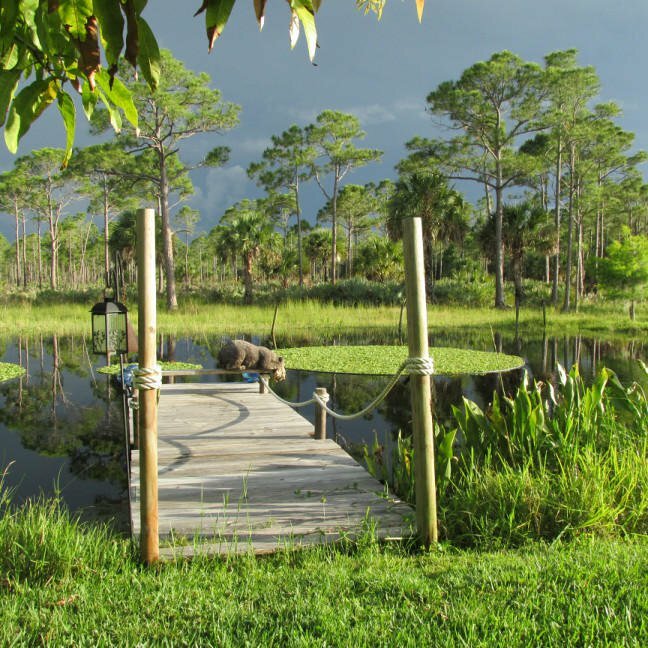 Hike the 63-mile Ocean to Lake Trail just minutes from your backdoor. 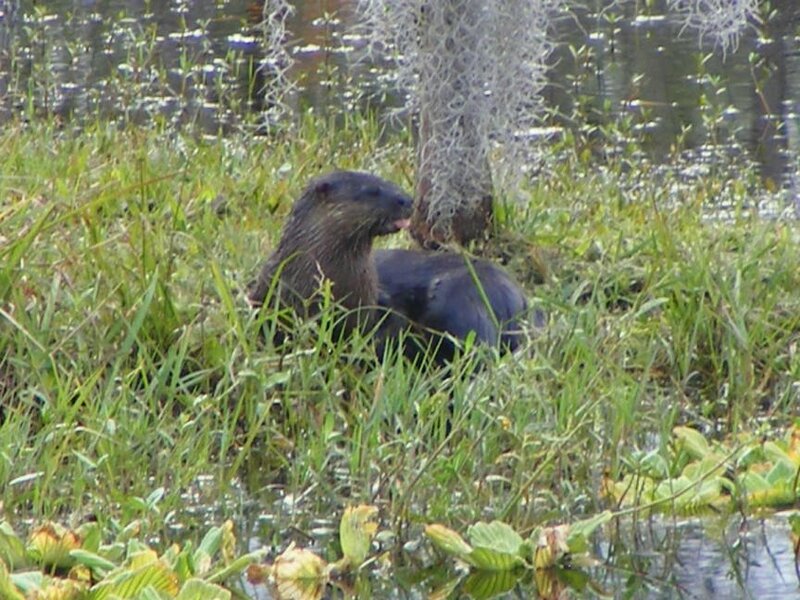 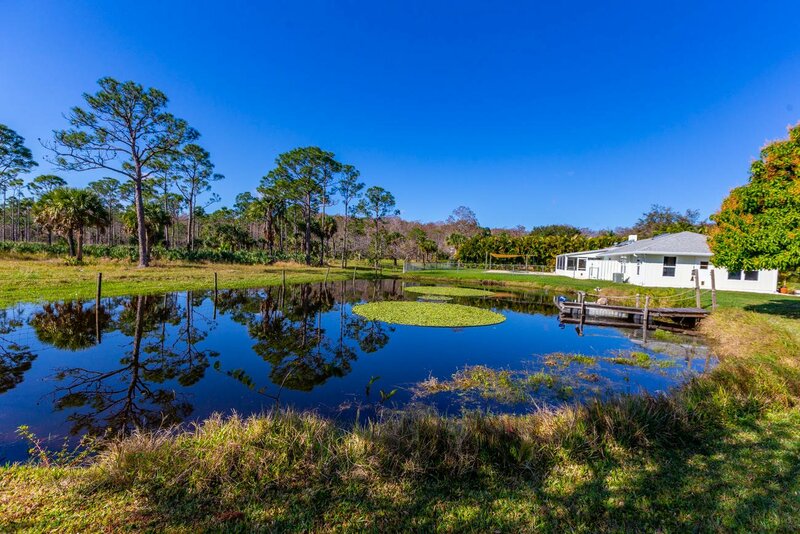 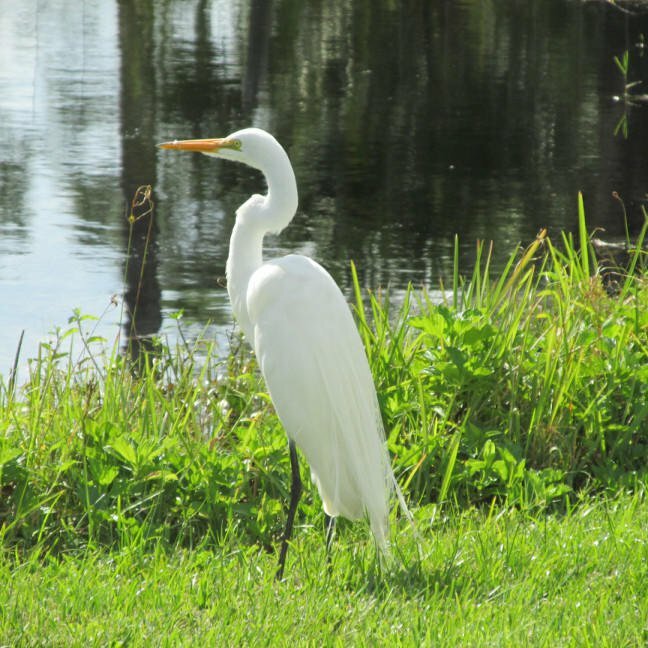 Enjoy the spectacular views, a pond full of fish (with a floating dock) and visiting wildlife right in your own yard. 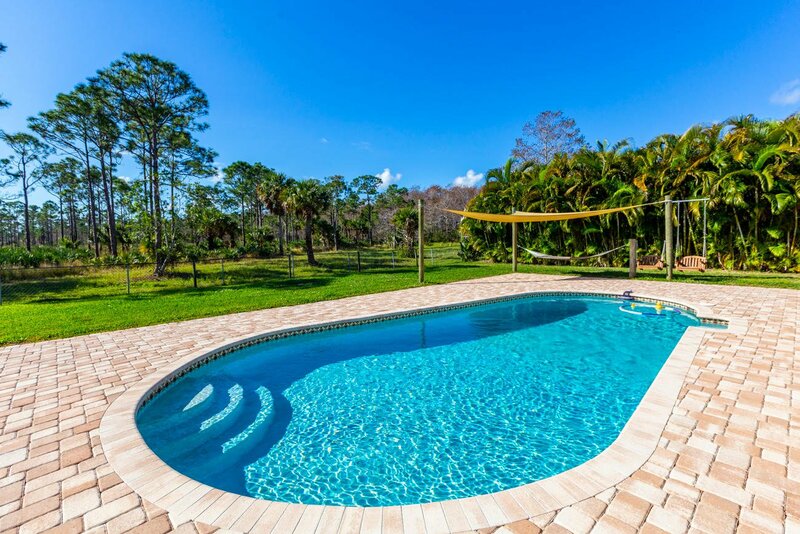 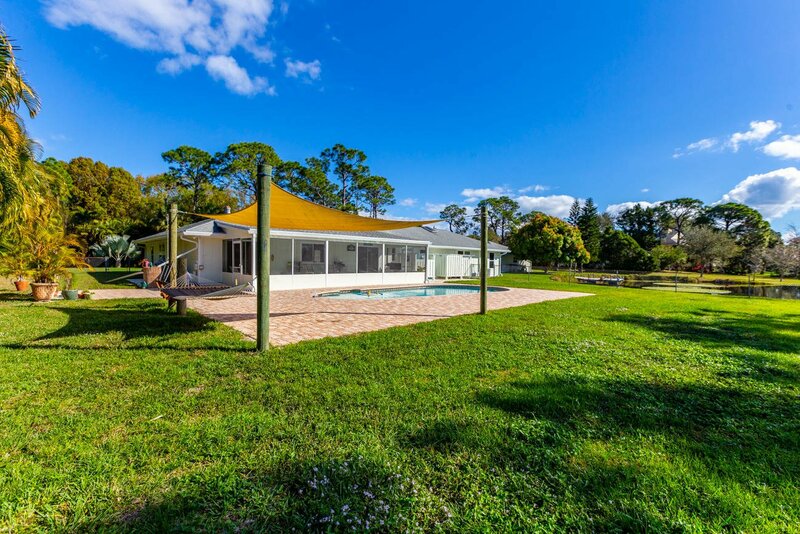 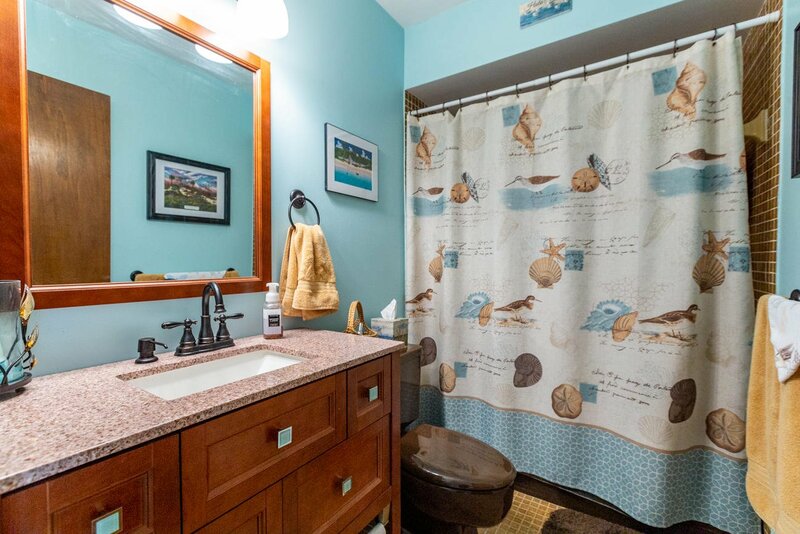 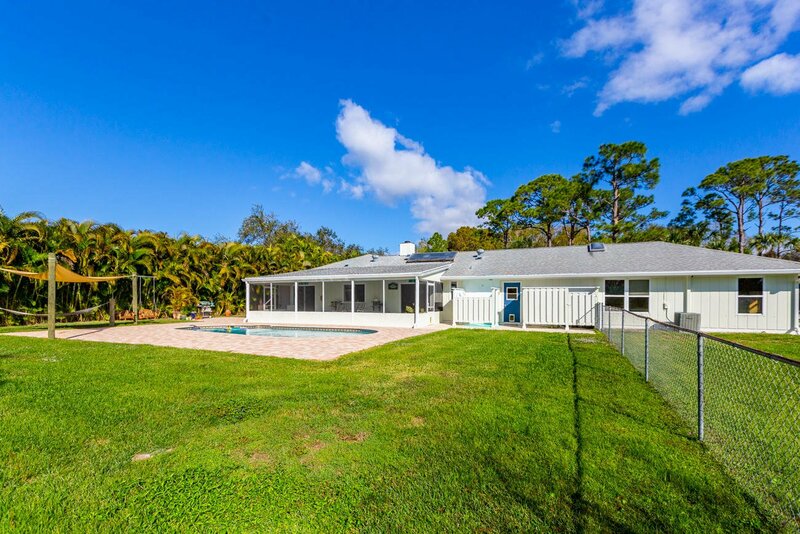 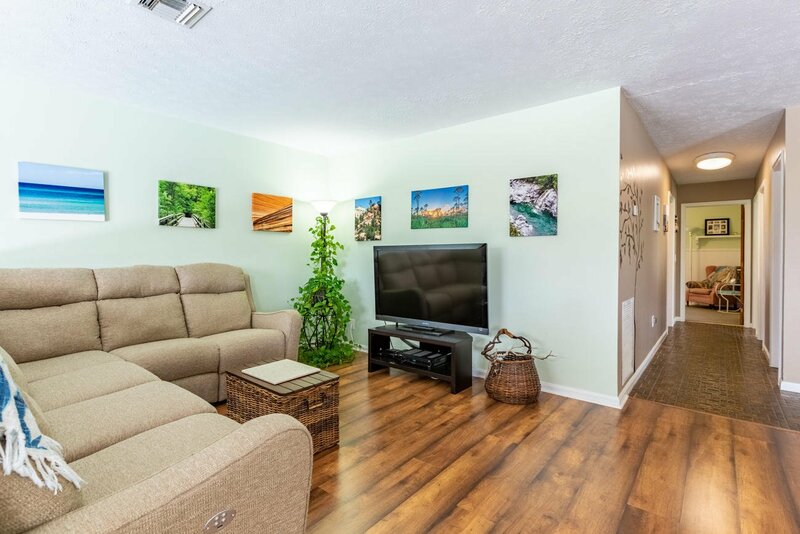 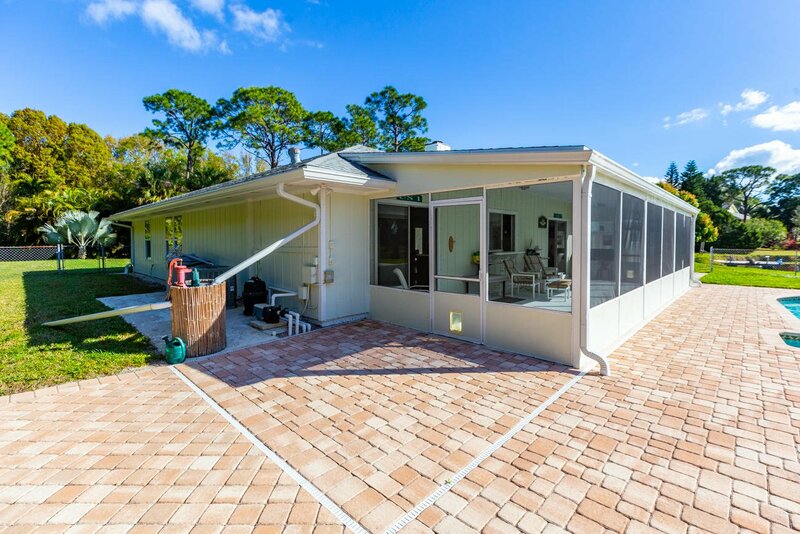 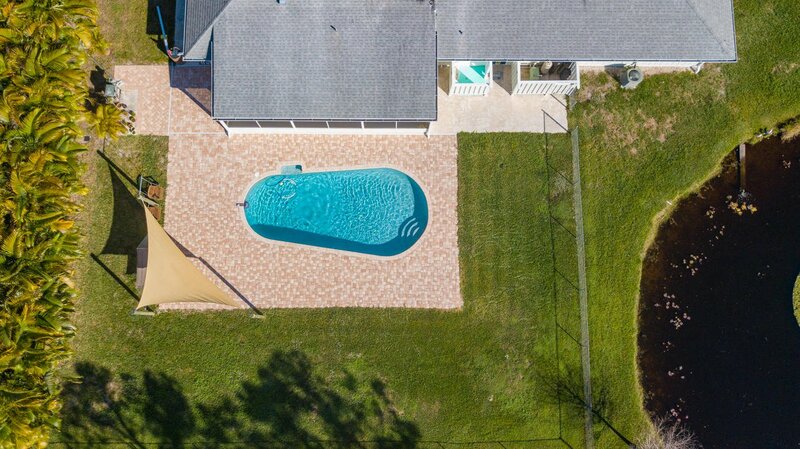 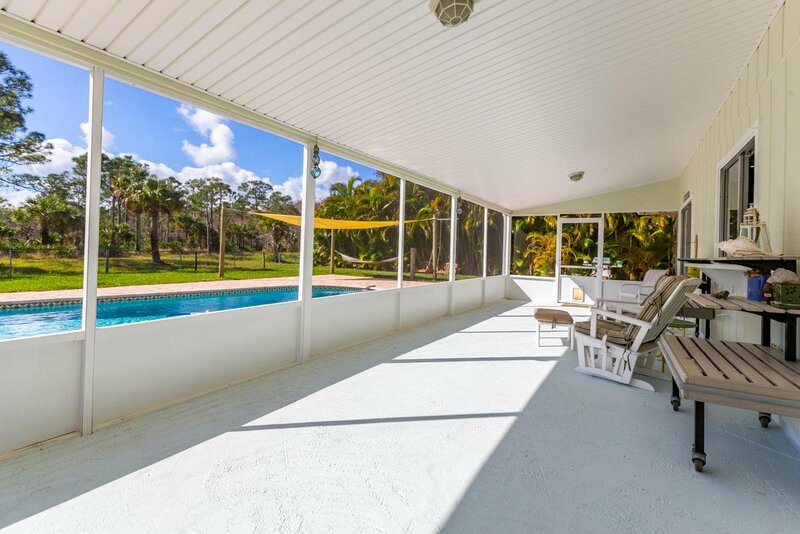 You can truly experience the Florida of the past here.A beautiful swimming pool with an inviting paver patio, outdoor shower (with hot water), grill area, and a roomy screened porch await you on those warm summer days, along with fresh mangos from your very own tree. 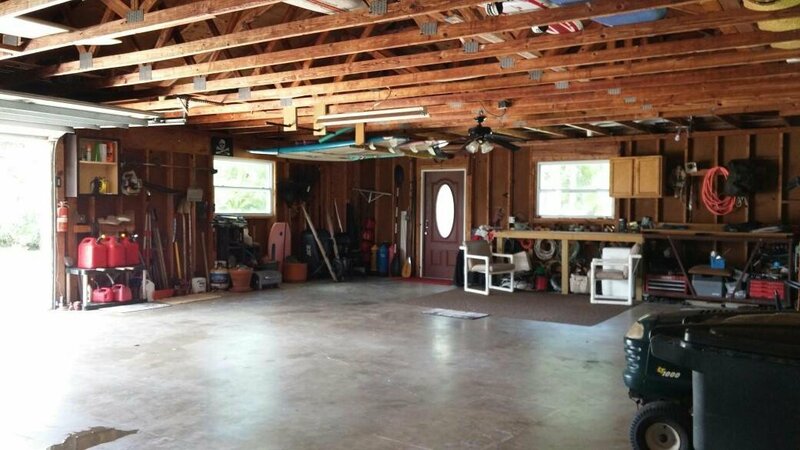 And there's plenty of space for a vegetable garden too. 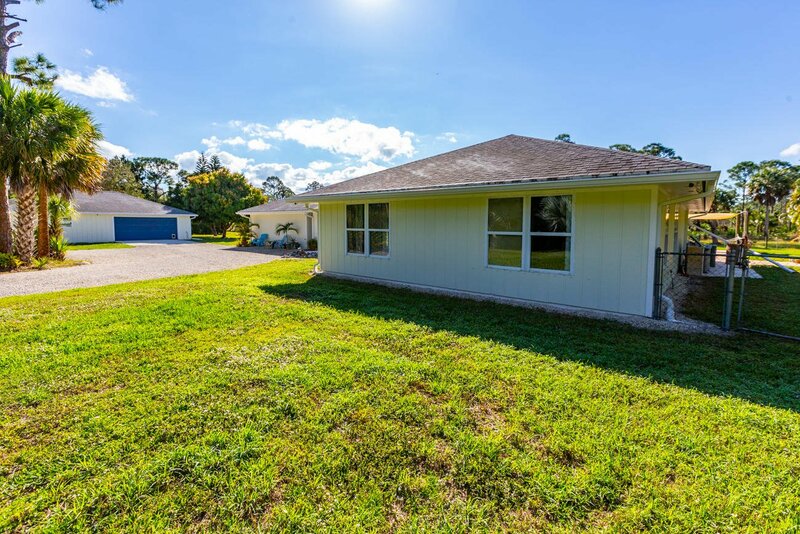 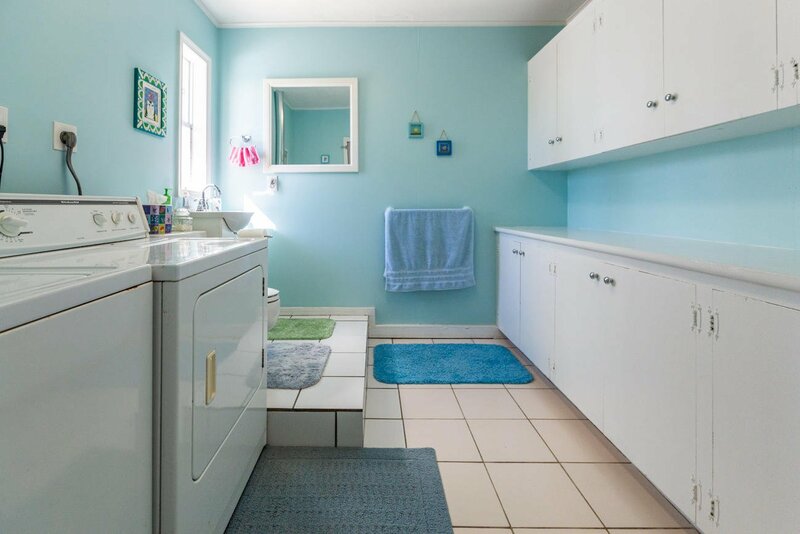 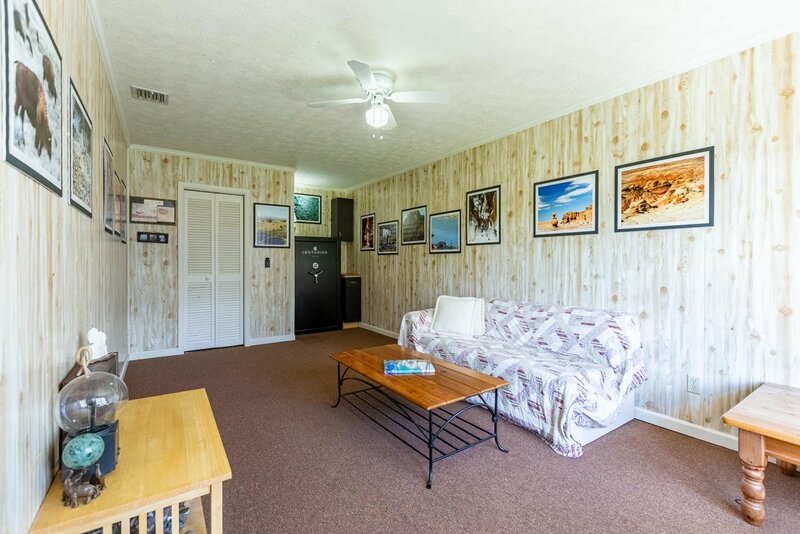 Your sprawling ranch-style home has 3 bedrooms on one end, 1 bedroom (plus room for 2 more) on the other end, 2 full baths, a large area suitable for use as a home office, a generous laundry room (with its own Â½ bath), and abundant storage space throughout. 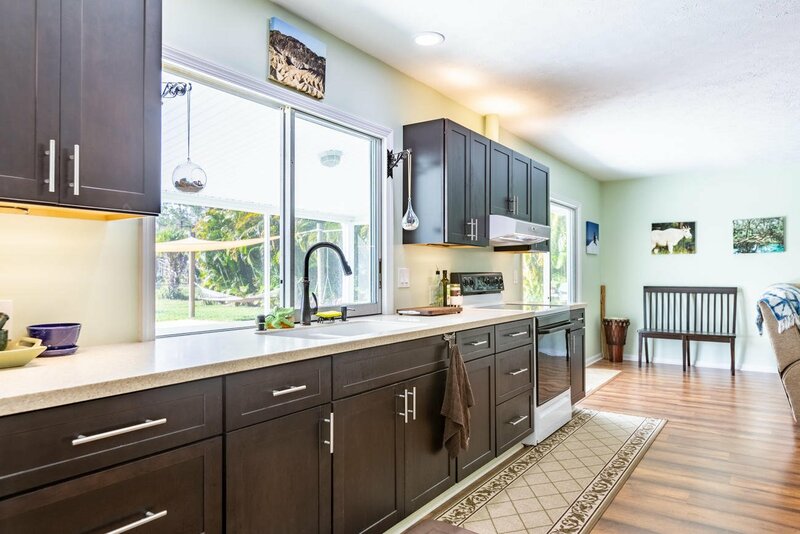 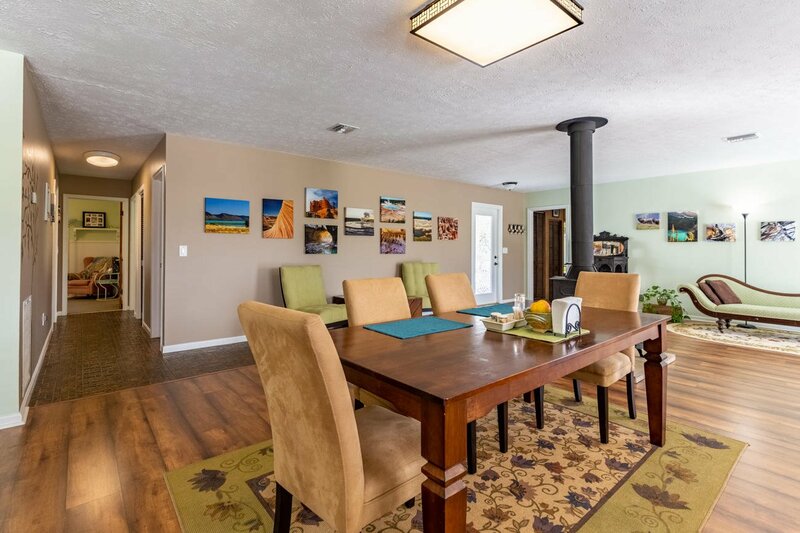 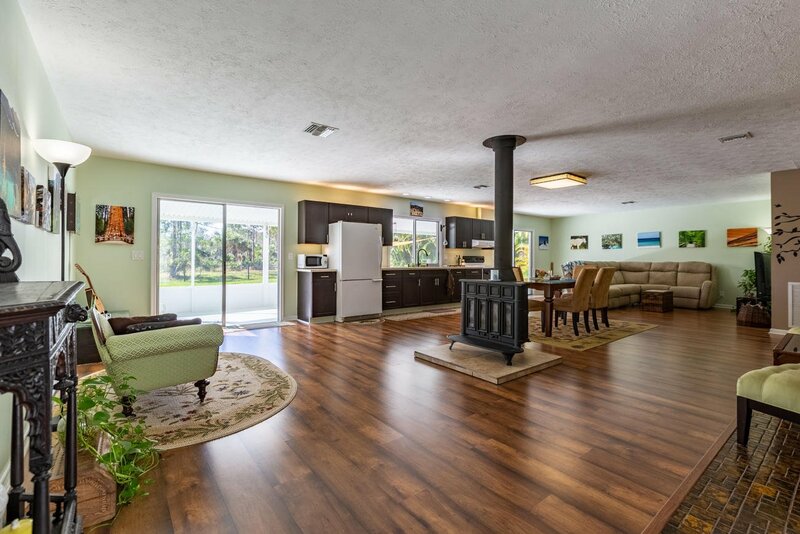 The kitchen sits in a large, airy great room with soothing views of the State Park, just right for family gatherings and entertaining. 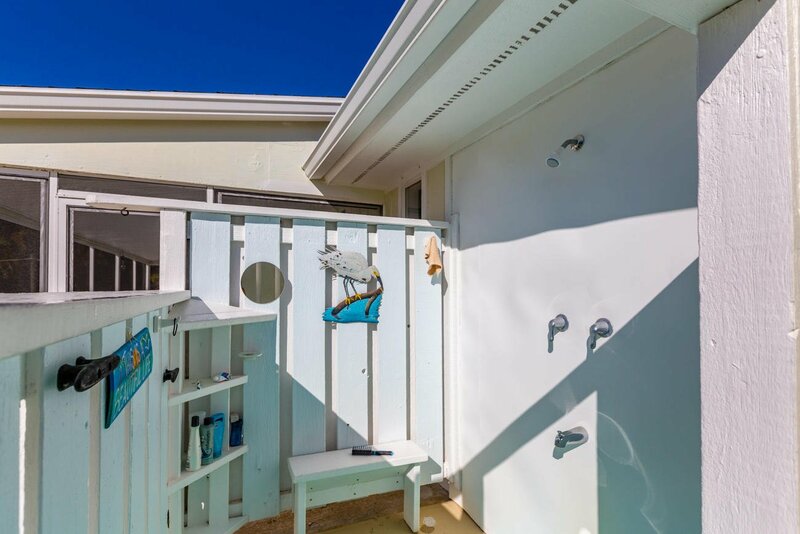 For custom climate control there are two HVAC units (one on each end of the home), and your 80-gallon solar water heater means a reduced electric bill (and you'll never run out of hot water). 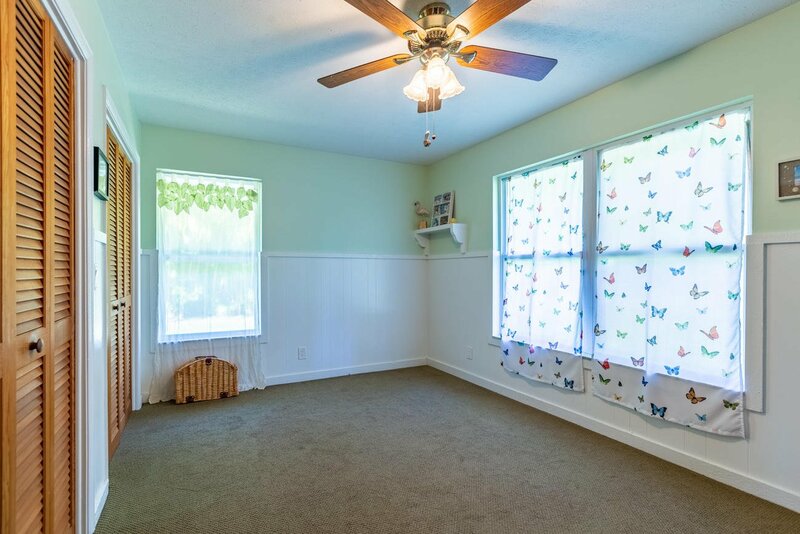 Your pets will love the pet doors already installed for their convenience. 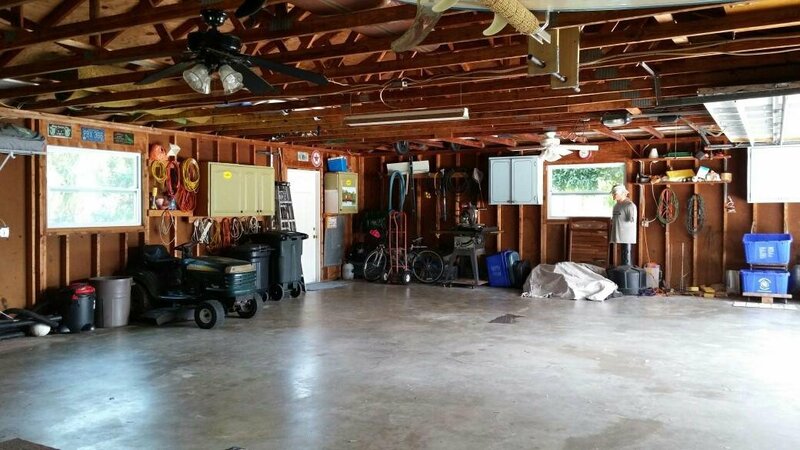 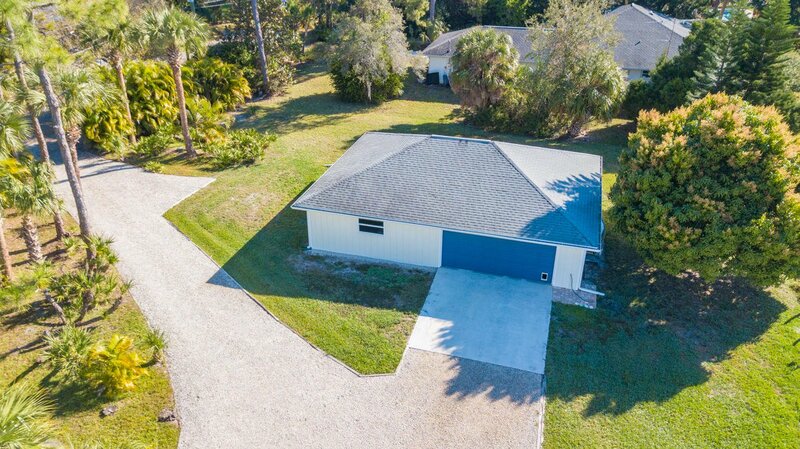 On your .98-acre property sits a detached 30'X40' oversized garage that could easily hold 4 cars (plus your kayaks), a super workshop, or even be converted to a guest home. 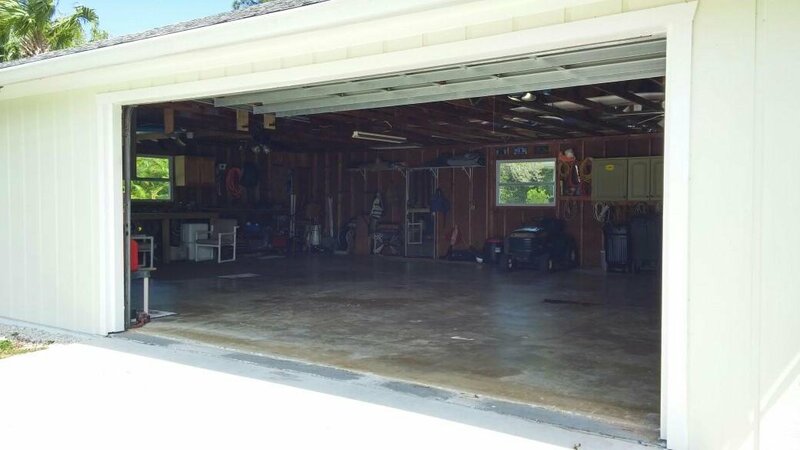 An exterior receptacle has been installed for a generator. 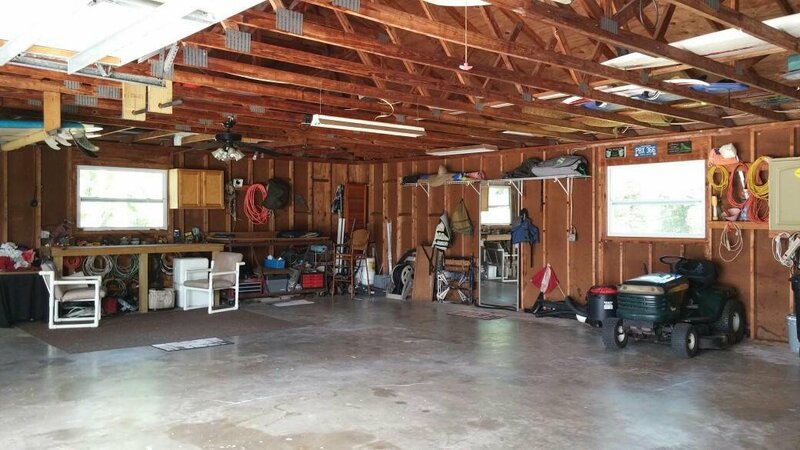 The circle drive offers easy accessibility and plenty of space for parking. 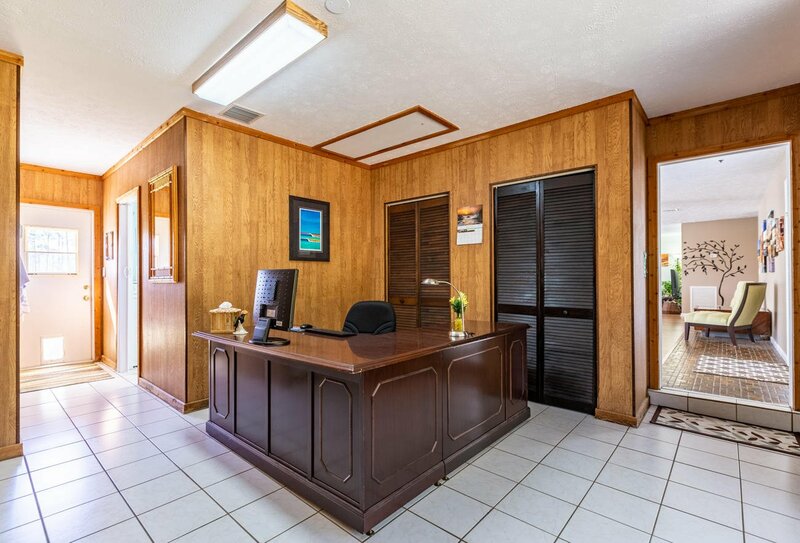 Experience in-town convenience with an out-of-town view. 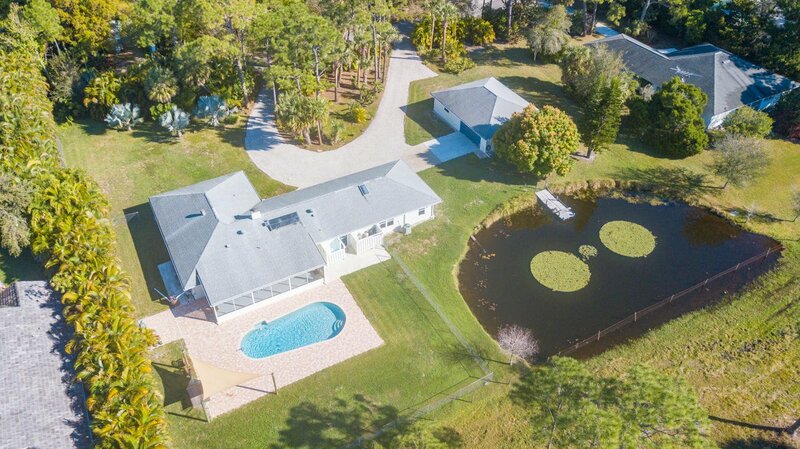 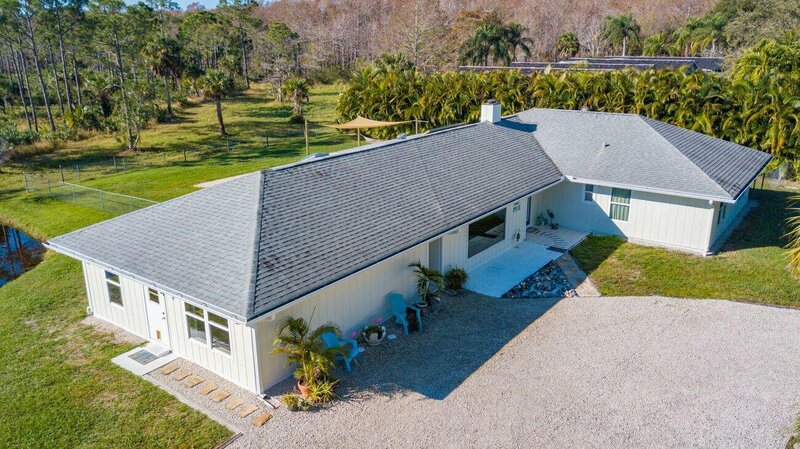 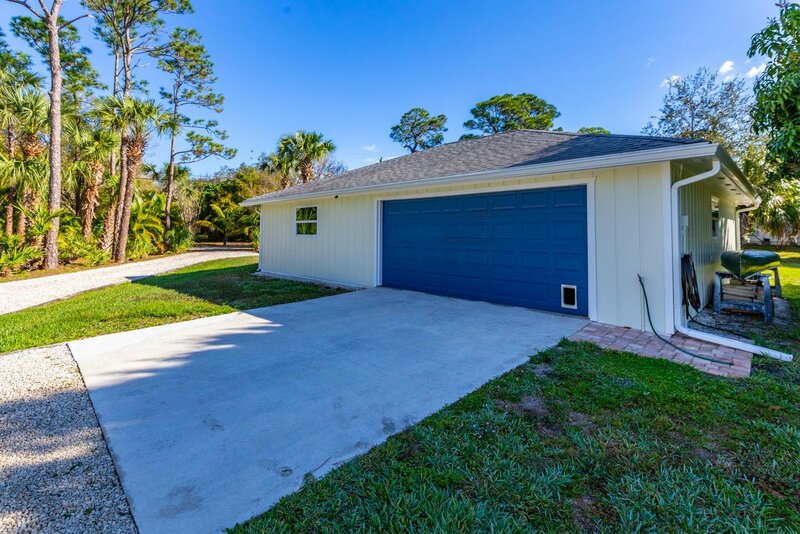 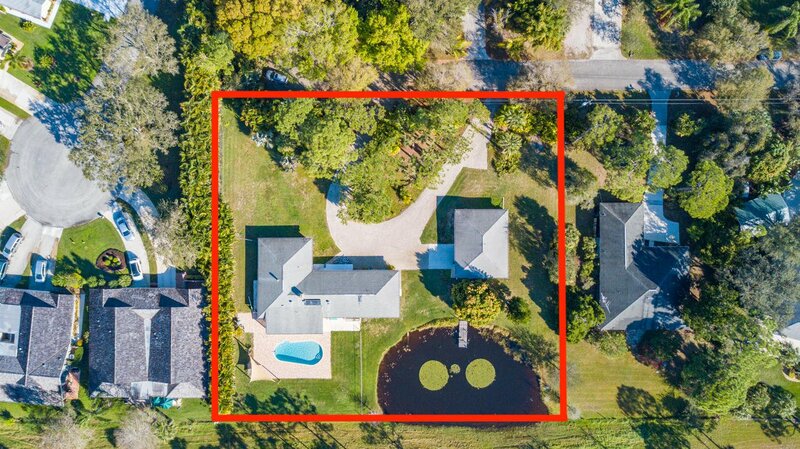 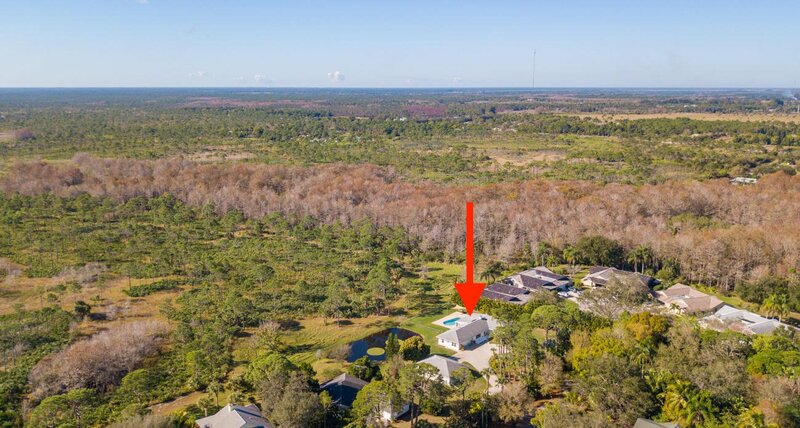 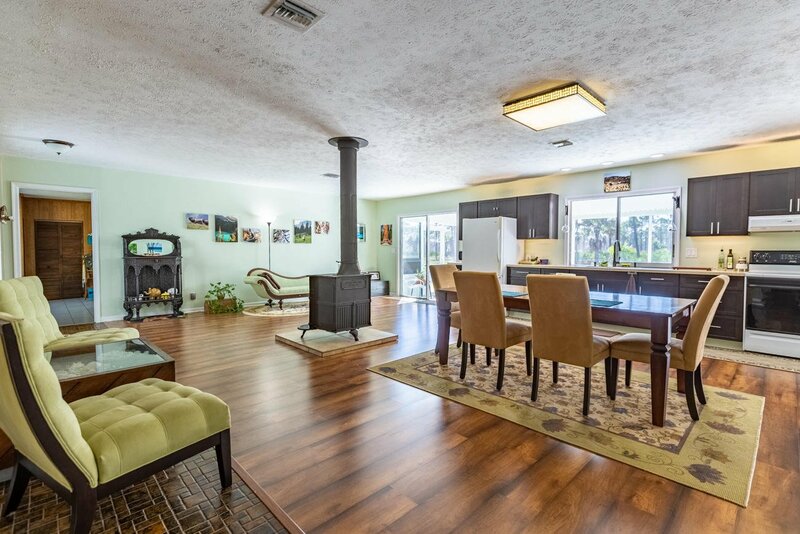 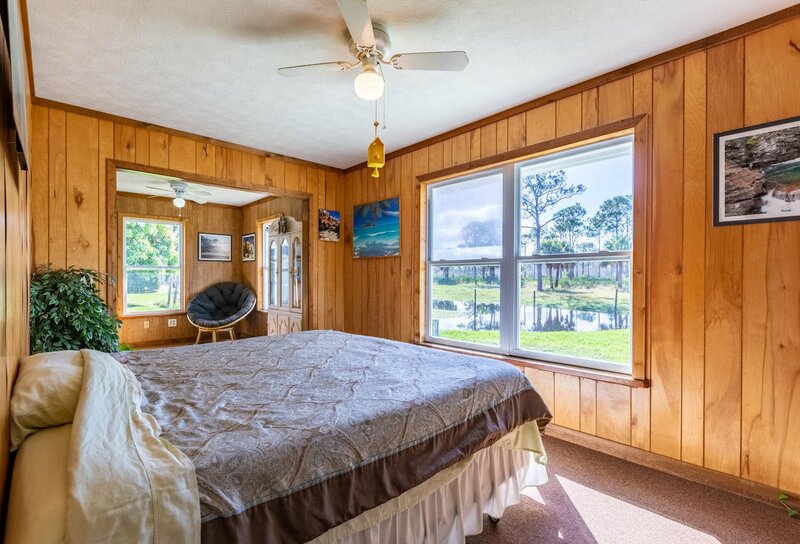 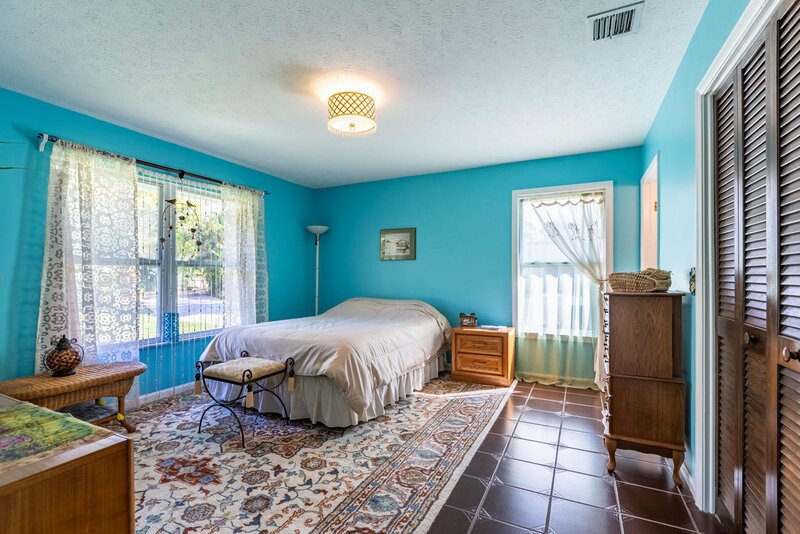 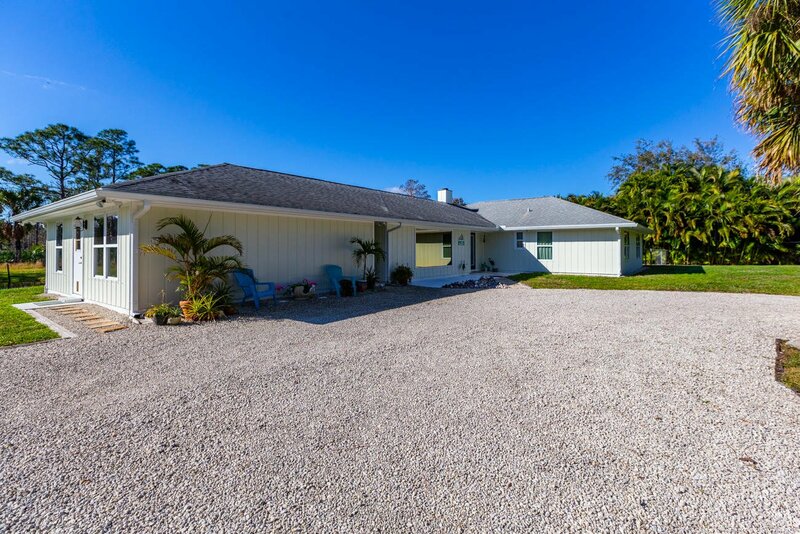 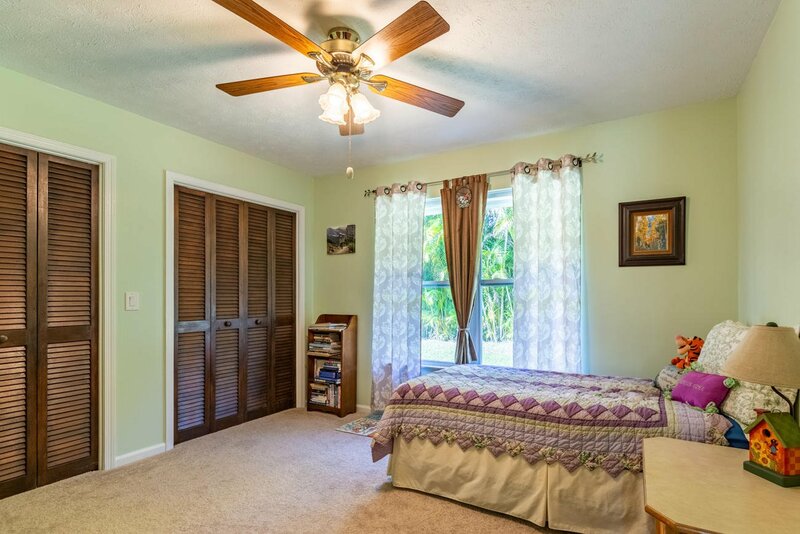 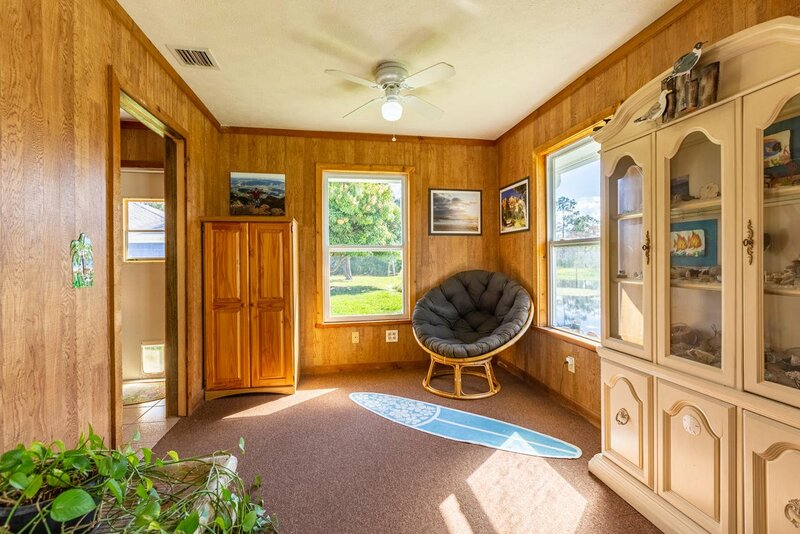 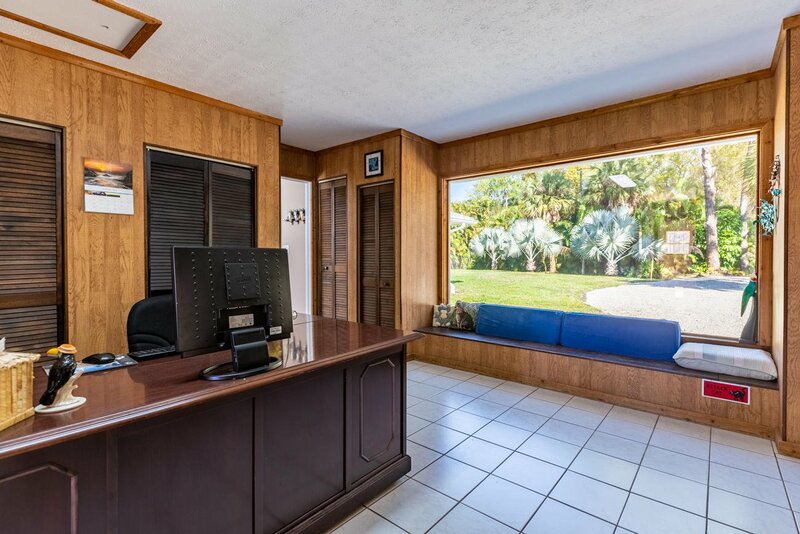 This beautiful home at the end of a shaded road offers unparalleled privacy, tranquility and a peaceful existence only minutes from town, major highways, and the famous Hobe Sound Beach at the end of scenic Bridge Road. 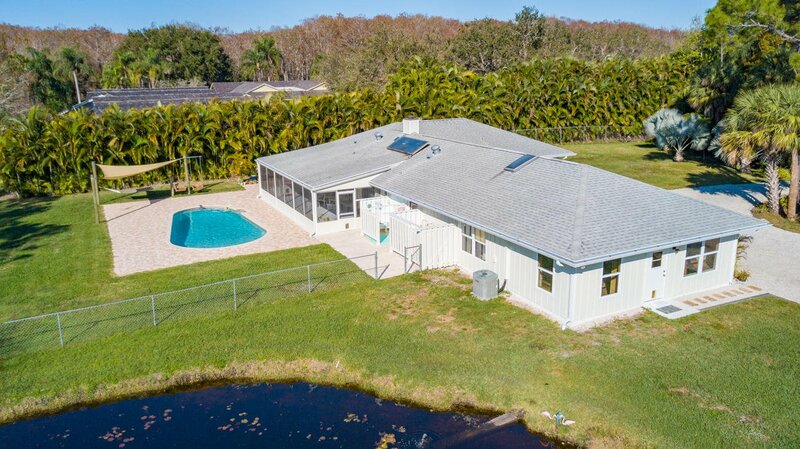 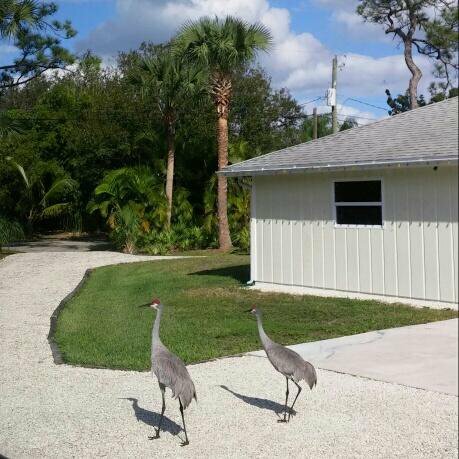 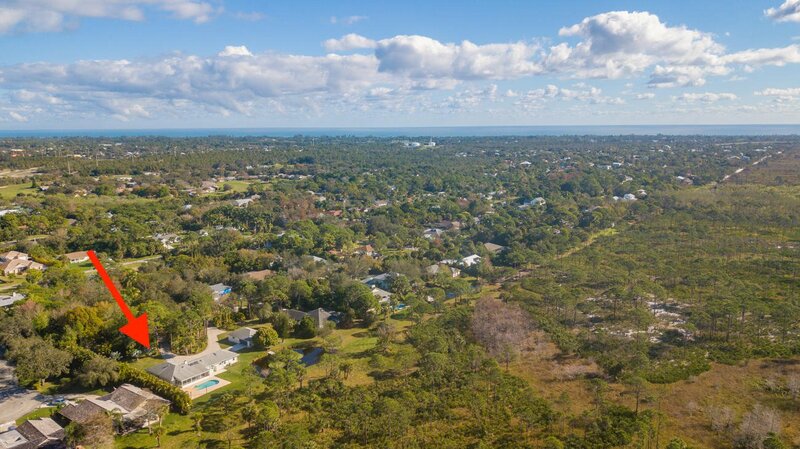 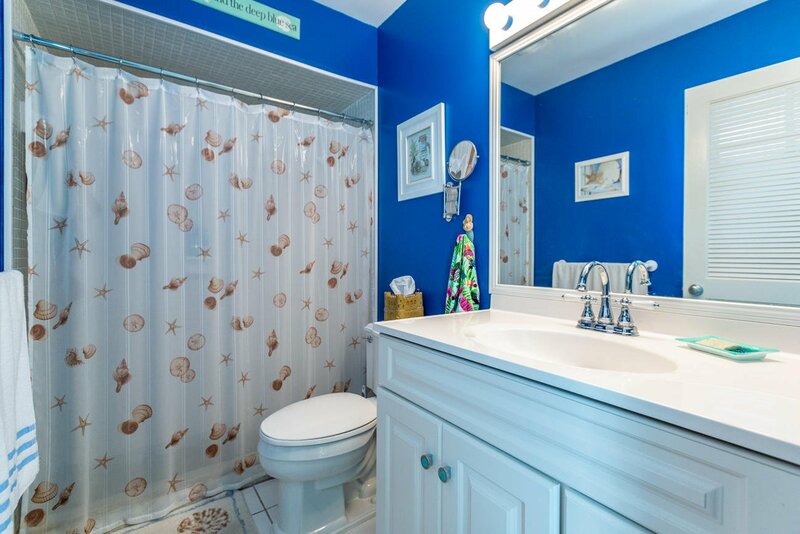 Listing courtesy of The Keyes Company - Hobe Sound.